Private charter flights in Beijing-- A Stratos Jets aviation consultant can coordinate the details of your private jet charter to Beijing with as little as four hours notice. When you contact a Stratos Jets agent you gain access to their industry expertise, while acquiring a dedicated air charter agent who is available around the clock for a seamless charter flight planning process. At Stratos Jets, we deliver the highest quality customer service and always have our clients' best interests in mind. We aim to build long term client relationships through our commitment to excellent service.Beijing is the capital of the People's Republic of China and is located in northern China. The city hosts 14 separate urban and suburban communities and is one of the most highly populated cities in the world with nearly 20 million residents. This ancient eastern civilization has been a sought after cultural destination for centuries. 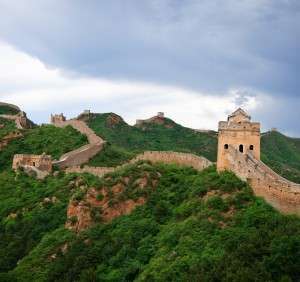 The modern metropolis is now a center for Chinese politics and international exchanges.From the Forbidden City to the Great Wall of China, it's nearly impossible to take in all of Beijing's history in one visit. These are a few of our favorite spots to visit while in Beijing: Shichahai Lakes- these lakes are located in the Forbidden City and offer phenomenal photo opportunities. Rent a rowboat on the lakes or just stroll the pathways surrounding them. For shopping, the Nanluoguxiang district has loads of shops, cafes and galleries. Find anything from clothing to hand-made purses to garden gnomes. After nightfall, head over to Legation Corner on the southeast corner of Tiananmen Square. Here you'll find an artistic crowd and many fun restaurants and bars for entertainment.In Beijing you'll want to stay at a top luxury resort. At 81 floors, China World Summit Wing has some of the best views of the city. All 278 guest rooms are lavishly decorated and equipped with the latest technologies. The hotel also has four restaurants, a spa and a health club. 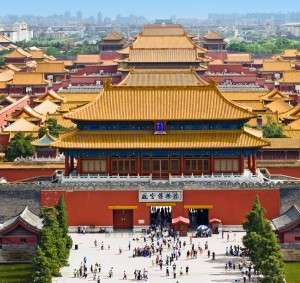 Other world-class accommodations in Beijing include Shangri-La Hotel Beijing, The Regent Beijing and Ritz Carlton Financial Street.Chartering a private jet to Beijing lands you in the culturally rich city in style and convenience. Not only do you select your own departure times, you also save time by avoiding lengthy security and baggage claim lines. Benefit from the exclusivity of flying in your own private jet cabin while enjoying luxurious in-flight amenities such as on-board catering and enhanced entertainment and business capabilities. We have access to over 5,000 available private aircraft and one of our agents can pair you with the perfect private plane for your Beijing charter flight. Stratos Jets can accommodate private jet charters and large group charter flights in Beijing. In addition to our commitment to service, Stratos Jets places passenger safety as a top priority. We conduct a third party safety audit on all aircraft and aircraft operators enlisted for our clients' private charter flights. We only work with Part 135 operators for private charter flights and Part 121/380 operators for group charter flights (or their foreign equivalent). Through our in-house due-diligence safety program, we screen all aircraft and aircraft personnel to secure the most well-maintained aircraft under the command of two experienced and highly trained pilots.Fly into Nanyuan (ZBNY) airport or Capital International (ZBAA) airport.